Alcohol abuse has similar characteristics to other disorders so the sooner you can identify it with a loved one, the earlier you will be able to help them get professional assistance. Treating alcoholism can help one get back to a healthy and productive lifestyle as it was before. Alcoholics usually lack the mental clarity and physical ability to identify the indications of alcoholism within themselves. Some of them may even attempt to conceal their alcoholic behavior from loved ones. This is one of the ways you will be able to determine whether someone is an alcoholic. All these conditions can cause sudden death if not long-term health issued so you need to be able to identify the symptoms for each category. 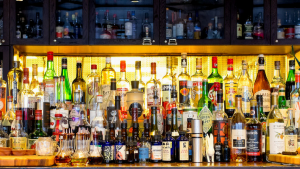 One out of every four people drinking heavily has alcohol use disorder. An individual should meet two out the criteria listed below, at the very least, in order to be diagnosed with this condition. Problem drinking in this form is rarely considered dangerous but it is. Heavy drinking is defined by the CDC along guidelines of gender because women and men differ in how they metabolize alcohol. Heavy drinking in women involves the consumption of at least one alcoholic beverage on a daily basis or at least 8 servings of alcohol weekly. Seizures – Seizures can happen because when one withdraws from alcohol, because the pathways in the brain affected by drinking will be affected. Dementia – Heavy drinking accelerates the brain’s shrinking with age leading to dementia, cognitive problems, and memory loss. It can also reduce one’s ability make judgments, plan, or solve problems. 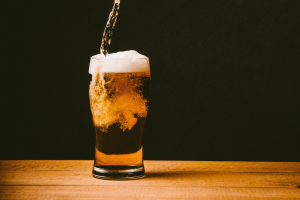 Chronic drinking problems can cause a pattern of physical dysfunction and memory loss because of a thiamine deficiency, also referred to as Wernicke- Korsakoff Syndrome. Anemia – This is indicated by reduced numbers of red blood cells, which transport oxygen around the body. Symptoms of anemia include lightheadness, dizziness, shortness of breath, and fatigue. Usually, heavy drinkers might not feel like they have an alcohol problem until these chronic health issues arise. Binge drinking can be defined as the consumption of more than five servings of alcohol at any occasion. It is an alcohol consumption pattern that can increase one’s blood alcohol concentration to 0.08 within a period of two hours. The liver is only capable of processing one alcohol serving per hour so consuming alcohol rapidly and in less time can be harmful. In the event that someone experiences alcohol poisoning, it is crucial that you call for medical assistance because leaving him or her to rest or sleep so it wears off increases their risk of death. Binge drinkers might not exhibit obvious symptoms, as they are less likely to be in withdrawal or constantly intoxicated. However, individuals who frequent house parties, nightclubs, or bars as an excuse to socialize have a higher likelihood of engaging in binge drinking. Even though heavy drinking and binge drinking are not deemed as alcohol use disorder, they can lead to chronic and acute health problems and they can translate into alcohol use disorder or alcohol dependence. 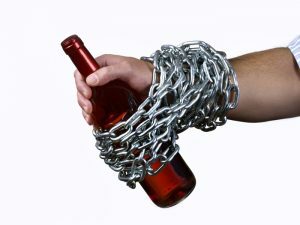 Anyone having intense alcohol cravings or seeking alcohol frequently might have a developing alcoholism problem. Most people with drinking problems and not experiencing any consequences because of it can claim to be functioning alcoholics. High functioning alcoholics apparently maintain happy families, academic achievements, work achievements, and they have normal lives. They often feel like they can cope with all of life’s demands by drinking. They are often unbothered by cravings for alcohol as they can drink quite easily. They also usually have friends willing to drink with them frequently. High functioning alcoholics defy the stereotypical image of alcoholics and they are often in denial about their alcohol abuse. This reduces the likelihood that they will look for treatment, as their alcohol drinking does not seem to affect their lives in any way. It can be hard to identify a high-functioning alcoholic because usually there are no indications of patterns of alcohol abuse. However, they will probably not function well for too long and have a higher likelihood of experiencing illnesses, cognitive problems, or mood disorders. They can also develop issues with health, form emotionally abusive connections with loved ones, or become hospitalized for issues with alcohol poisoning. Red flags to look out indicate whether someone is a high-functioning alcoholic include the following. They never want to leave any alcohol behind after a drinking spree. They usually experience blackouts during which they cannot remember specific events that occur and they seem to lose chunks of time regardless of not seeming intoxicated at the time or demonstrating a high tolerance. They can demonstrate changes in behavior such as defensive or aggressiveness as they drink and when asked about their drinking. They can go through periods during which they abstain from alcohol resulting in negative physical reactions such as feelings of discomfort, elevated heart rate, sweating, anxiety, nervousness, or irritability. The risk factors for developing drinking problems can come up from various interrelated factors such as emotional health, social environment, how someone was raised, and genetics. People with alcoholism within their family history or those with a close association to heavy drinkers have a higher likelihood of developing drinking problems. People suffering from mental health problems like bipolar disorder, depression, or anxiety are also at risk from using alcohol as a means of self-medication. Not all people who abuse alcohol can become alcoholics but it plays a significant role. At times alcoholism can develop in an individual because of stressful life changes such as loss of a loved one, retirement, or a breakup. It can creep up as your alcohol tolerance increases gradually. You are at a greater risk of becoming an alcoholic if you binge drink or drink daily. For High functioning alcoholics, the risk can be affected by peer influence, high stress jobs, abusing other substances, trauma, or drinking from an early age, in addition to the above-mentioned risk factors. You do not have to wait until a drinking problem affects your life for you to seek assistance. 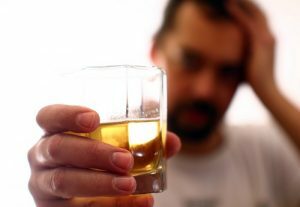 Understanding and recognizing signs of drinking problems will you get through these them before relationships, career, and long-term health problems can come up. Admitting that you have an alcohol abuse problem is the first step towards getting the help you need. You need to have great courage and strength in order to tackle alcoholism and alcohol abuse. The second step involves reaching out for help and support. Support is crucial for recovery regardless of whether you will take a self-directed approach for treatment, therapy, self-help programs, or rehabilitation. It is much easier to recover from alcohol addiction when you have the support, guidance, comfort, and encouragement of your loved ones. Without all this, you can easily fall back into your harmful drinking habits when things become difficult. Continued recovery from alcohol addiction is dependent on making better decisions, adopting healthy coping mechanisms, and taking up mental health treatment when faced with life’s challenges. You need to deal with any underlying issues you may have that led you to start drinking if you want to remain alcohol-free for the long haul. Such problems may include mental health problems, unresolved childhood trauma, inability to deal with stress, or depression. When you cease alcohol use, these problems can seem bigger than they were before. However, you will be better equipped to deal with them and get professional assistance for recovery. Professionals who deal with addiction treatment address alcoholism in the same way they would treat other substance abuse problems. An effective program for treating alcohol abuse will include up-front concentrated treatment and long-term support to keep from relapsing. It can also start with intervention to help the person see why he or she needs to commit to rehabilitation. A professional treatment plan for to deal with alcohol abuse involves the following features to ensure an effective recovery for the individual. The next step is detoxification and it involves ridding the individual’s body of alcohol completely. It is the first step towards ensuring the body resumes proper functioning. This step requires medical supervision because the process can be dangerous if conducted improperly especially in the event of alcohol addiction. Medical supervision during the detox process protects against any dangerous withdrawal symptoms such as heart attacks or seizures. It can also help to reduce the severity of any withdrawal symptoms the individual may experience six months following the detox i.e. post-acute withdrawal. Emotional healing is the next step in the treatment program. It involves therapy sessions in groups and individually overseen by professional counselors to help recovering individuals deal with the psychological and emotional triggers that led to drinking. These therapy sessions can help them heal from any events caused by their alcohol addiction. It is a trauma-informed method included in substance abuse therapy and it is beneficial in helping the recovering individuals determine why they turned to alcohol in the beginning. The next step involves physical healing and it emphasizes on healthy physical activity such as yoga, sports, hiking, or walking as well as balanced nutrition. This phase is essential in helping the recovering alcohol user regain physical strength and start developing healthy long-term habits. Alcohol is essentially a poison and it can throw off your body’s nutritional and physical balance. The restoration of this balance via nutritional therapy in combination with developing a healthy exercise routine can reduce the symptoms experienced during early alcohol recovery. It is possible to overcome alcoholism with long-term support and sound treatment options. If your life has been affected by alcohol addiction directly or indirectly, the best thing to do is reach out to a professional for assistance. You do not have to deal with alcohol addiction by yourself when there are established practices making it possible to recover from addiction to alcohol.